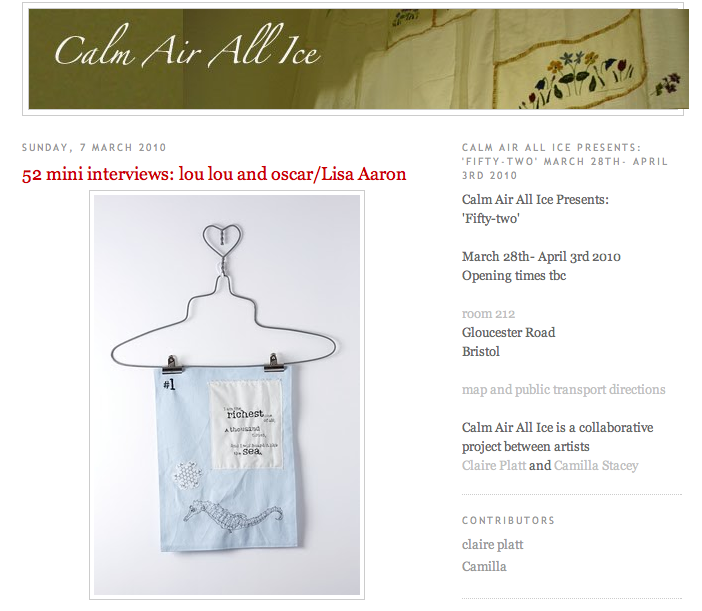 You can read a mini interview with me over at Calm Air All Ice ahead of the exhibition Fifty Two. I have just worked out that ‘Calm Air All Ice’ is an anagram of the names of the two curators, Claire and Camilla. I feel a little dense now! This entry was posted in Events, Exhibitions/Shows and tagged "lou lou and oscar", calm air all ice, fifty two exhibition, Lisa Aaron. Bookmark the permalink. haha! we like to see how long it takes people to work out what it all means. 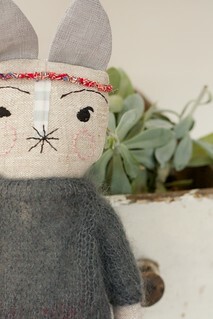 Looking forward to having you in the show!